Why are there so many overweight and obese people in the world? We’d love to say it’s hormones. It’s not primarily. We are addicted to sugar. We are addicted to carbs. We are addicted to fast food. Mainly we are addicted to whatever makes us feel good, what’s the quick fix or rush, and we don’t like pain or discomfort. We use food to fuel our emotions instead of our bodies. Well, our addiction to pleasure has made us obese. I see small children who are 40 to 50 pounds overweight. I’ve seen contestants on the Biggest Loser up to 700 pounds. That’s not hunger, it’s a root of sadness trying to be fulfilled by food. Behind every addiction there’s an idol. There’s something or someone we are giving worth to that we shouldn’t. That worship of the idol leads to addiction. We will all worship something. Even exercising and eating healthy can become an addiction and unhealthy. Try drinking 8 oz of water before eating. Am you hungry or lonely or depressed? 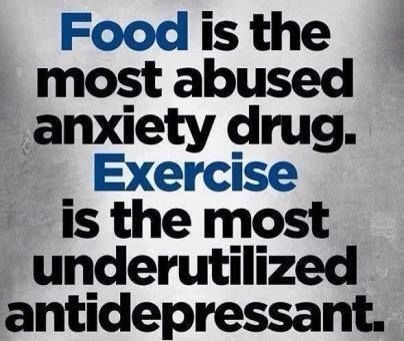 If the answer is there’s unsettled emotions, exercise is a great endorphin booster. Journaling feelings and emotions is good as well. Are you hungry or eating out of habit? We are creatures of habit. If you normally eat an entire pizza by yourself, you may be eating out of habit. It takes your stomach roughly 20-30 minutes to know it’s full. If you shovel food in quickly, you won’t know til later you’ve eaten way too much. If you don’t eat regularly, you will overeat late. Binge eating is often the byproduct of starvation. Eat small meals throughout the day. Drink plenty of water. You do have a hormone problem, thyroid or otherwise. Check with your doctor if you’re constantly overeating. You are eating the wrong foods. Processed foods, sugar, etc…lack adequate vitamins. Your body needs fuel to run, not just any calories-it needs beneficial ones. Vitamins and minerals are needed. If you’re eating junk, you’ll have persistent hunger! Dear friends, treat your mind, body, spirit, with integrity. You wouldn’t put sugar water in the gas tank of your car. So, don’t feed your body improper fuel. Opt for fruits, veggies, protein.